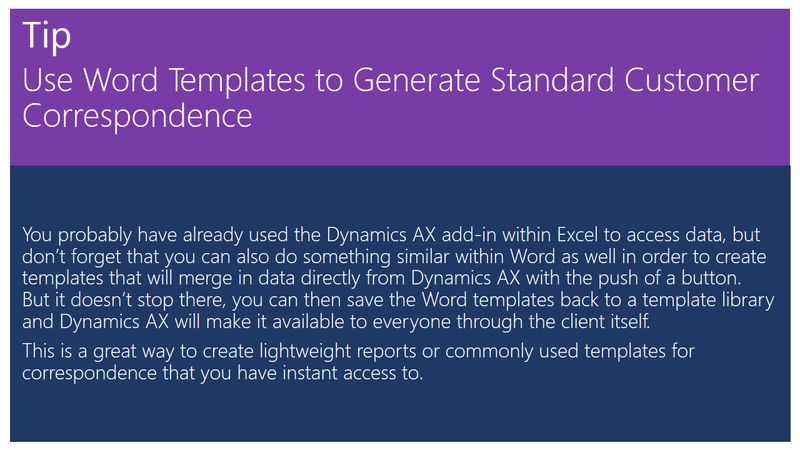 Every one knows that you can now edit your Dynamics AX projects directly in Microsoft Project, but the integration gets even cooler then that. If you have an existing project plan that you want to turn into a new project, then you can create it directly from Microsoft Project itself. 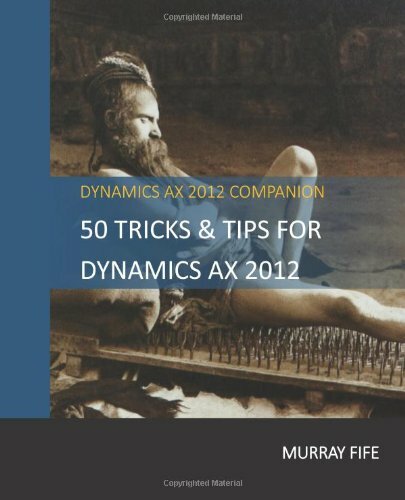 This is a super easy way to migrate all of your old projects over to Dynamics AX. Lync is a great way to communicate with all of the people that you work with since you can easily see if people are available, and then instantly start an instant message, voice call, or a video conferencing session. It is also fully integrated with Dynamics AX, allowing you to start Lync communications without even having to search for the person within Lync. 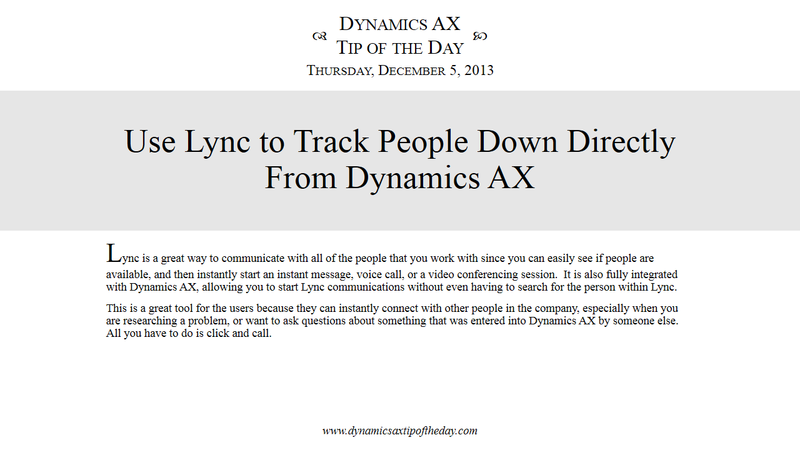 This is a great tool for the users because they can instantly connect with other people in the company, especially when you are researching a problem, or want to ask questions about something that was entered into Dynamics AX by someone else. All you have to do is click and call. 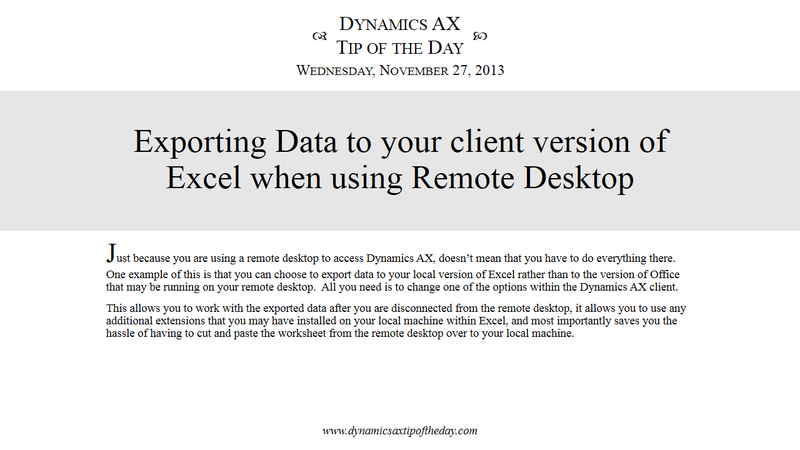 Just because you are using a remote desktop to access Dynamics AX, doesn’t mean that you have to do everything there. One example of this is that you can choose to export data to your local version of Excel rather than to the version of Office that may be running on your remote desktop. 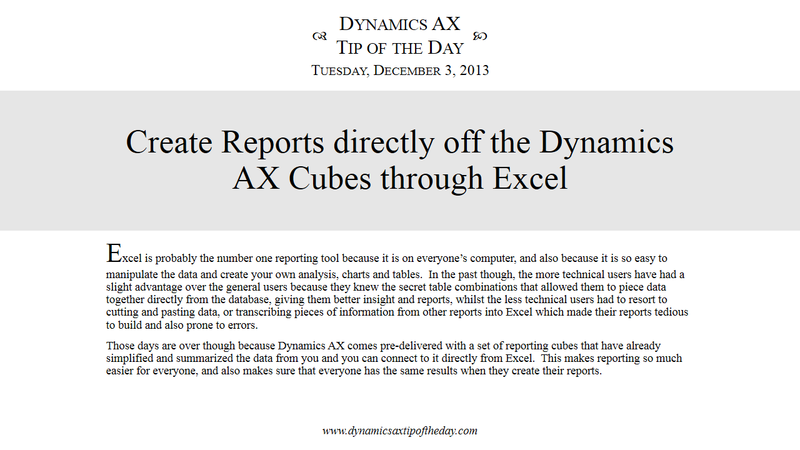 All you need is to change one of the options within the Dynamics AX client. This allows you to work with the exported data after you are disconnected from the remote desktop, it allows you to use any additional extensions that you may have installed on your local machine within Excel, and most importantly saves you the hassle of having to cut and paste the worksheet from the remote desktop over to your local machine.